If you haven’t tried this, then you really don’t know what you’re missing. 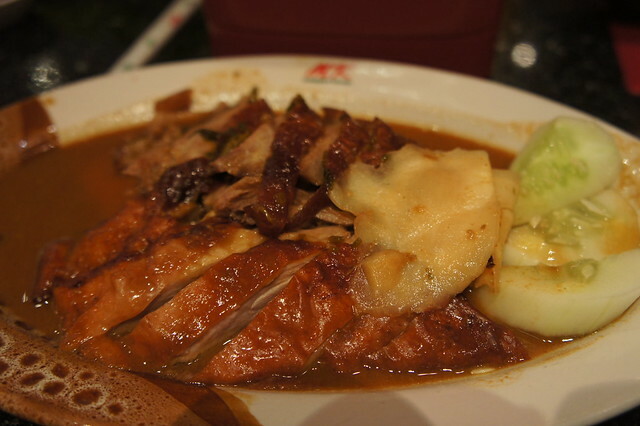 MK is supposed to be a steamboat restaurant, but there is always a side dish – pet yang or roast duck. I have no idea how they roast the duck, but I bet a big part of the secret must lie in the sauce. 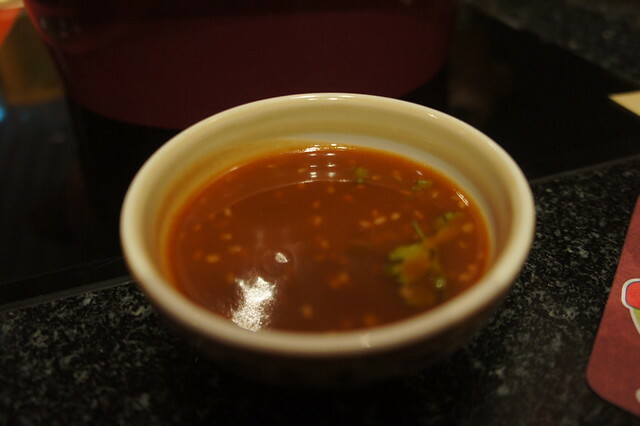 Of course, there is no harm dipping the juicy slices of duck meat in their signature suki sauce too. Like duck meat elsewhere in Thailand, pickled ginger always goes along with it. 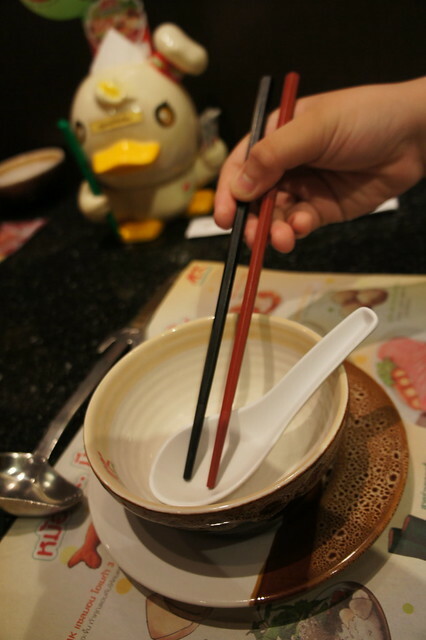 Providing non-matching chopsticks could also be a way to surprise and “impress” guests. Don’t miss the chance to taste this killer roast duck the next time you go to Thailand. I paid for my meal and I’m not paid to say this.